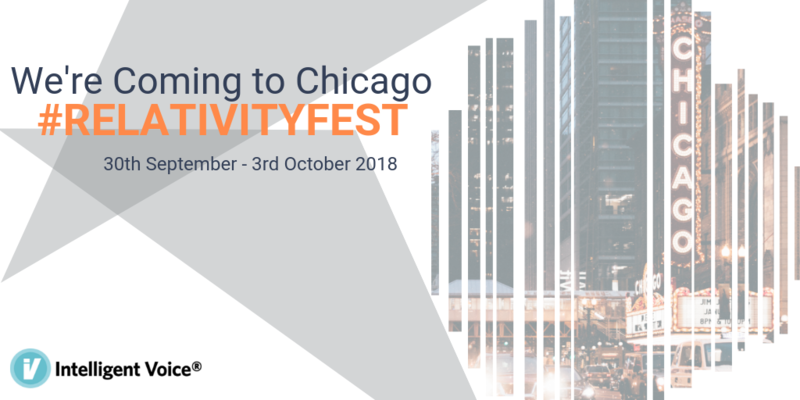 Where has the year gone, we are all set to exhibit at our 2nd Relativity Fest in Chicago. This time last year we were new to the scene and were blown away by the event. The format, the content, the sponsors and most importantly the attendees were all fantastic. We felt that last year was such a huge success, for us, but also for Relativity. The word most commonly used on our stand was “WOW”, which was a personal highlight of our head of global sales Colin Foster, who was on the receiving end of this more than once after one of his demos. Last year we were invited to show our SmartTranscript™ plugin. If you don’t know already, our SmartTranscript is a standalone HTML5 object which is a drop in replacement for original WAV/MP3 files containing everything a reviewer needs (Audio, JumpTo™ Topics and Transcriptions) in one single file. Audio review within Relativity was not intuitive and being able to utilise SmartTranscript within the Relativity Platform has become invaluable to users. As you can imagine, following the success of our initial integration, we have not sat still and have seen a lot of progress in improving how audio is managed within Relativity. Intelligent Voice’s main mission is to help organisations uncover the hidden truth in their data: this is particularly true of data sources that are historically put into the “too hard” pile, such as telephone calls and IM chat. New this year we have a number of exciting developments. 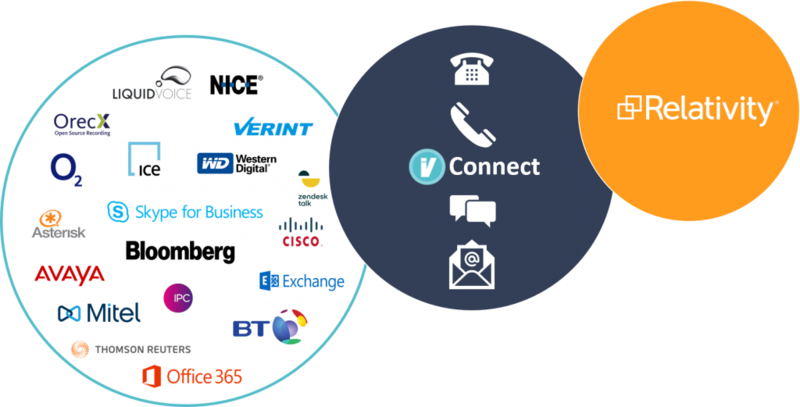 Intelligent Voice’s Smart Transcript is now available for use with RelativityOne. You can analyse and search audio files without leaving the platform. With Intelligent Voice, you can search for key terms in a specific audio file or in your entire archive of audio data. Persistent Search Terms are identified on the right hand side automatically. The Intelligent Voice Audio Viewer presents a written record of an audio file. It not only transcribes and indexes the audio, but is also linked to the original recording and audio player. Clicking on any of the keywords in the Audio Viewer will allow you to JumpTo that specific part of the audio, and listen for yourself. The viewer is currently available for standalone SmartTranscripts, and pre-transcribed audio in Relativity and Relativity One. Very soon it will work in conjunction with the existing SmartAudio™ Plugin which allows you to transcribe and audio or video on the fly. Intelligent Voice lets you ingest and search Audio directly in Relativity. Built from the ground up with data security in mind, Intelligent Voice lets you choose on-prem, private cloud or partner hosted processing using our unique ultra-high-speed GPU powered speech recognition algorithms. Working across more than a dozen languages and dialects, Intelligent Voice’s market-leading SmartTranscript technology cuts review time by 70%. in addition, Intelligent Voice provides an in-Relativity alternative word (“Lattice”) search to enable you to find likely words and phrases without the over-retrieval of phonetic search. User-driven model improvement puts the power to get greater accuracy in your hands without the need for expensive and time-consuming professional services. And Intelligent Voice’s biometric search capability is now integrated into the core product to allow you to identify relevant audio files, just from the sound of the human voice. Intelligent Voice is not tied into any on voice recording platform or email archive or messaging provider. This has allowed IV to develop connectors to a wide range of systems, which in turn allows its customer to move from one provider to another without lock-in. IV CONNECT takes your data such as telephone calls, Email, IM chat and Audio Data Sources and normalises it so it can be pushed directly into Relativity. Intelligent Voice’s deep connection and processing capability allows for all data to flow direct into Relativity and be search ready for your review and analysis. We will be performing demos on the stand throughout Relativity Fest, so pop by and have a chat to find out more.